Chinese Basketball Association (CBA) team Zhejiang Guangsha Lions has hired the services of the former NBA player Courtney Fortson to play for the club in the upcoming 2016-17 season. According to Asia-Basket, the 28-year-old Fortson recently played with Banvit in the 2015-16 season of the Turkish BSL league. He was averaging 16.3 points, 6.5 assists, 4.4 rebounds and 1.2 steals per contest in the 20 official games that he played with the team. The American veteran 5-foot-11 inch tall point guard helped the Turkish side make it to Turkish Cup semifinals and was even selected to play in the All-Star Game of the league for the same season. Fortson, a native of Montgomery, Alabama, also played 18 official matches in the Eurocup and registered averages of 13.8 points, 5.8 assists, 4.3 boards and 1.8 steals per outing. He spent the 2014-15 season playing for the Russian team Avtodor Saratov of the VTB United League. He played 32 games scoring 19.1 points and dishing out 8.2 assists per contest. Fortson played six matches for the Western Conference team Houston Rockets in the 2011-12 season of the league. During his stint with the Leslie Alexander-owned ballclub, Fortson averaged 3.0 points and 1.2 rebounds in 8.2 minutes of playing time. He shot 30 percent from the field and recorded a 66.7 percent shooting accuracy from the foul line. However, on September 2012, Fortson was waived by the Rockets. Fortson played college basketball with the Arkansas Razorback from 2008 to 2010. He went undrafted in the 2010 NBA Draft but was later on signed by the Reno Bighorns of the NBA D-League in March 2011. 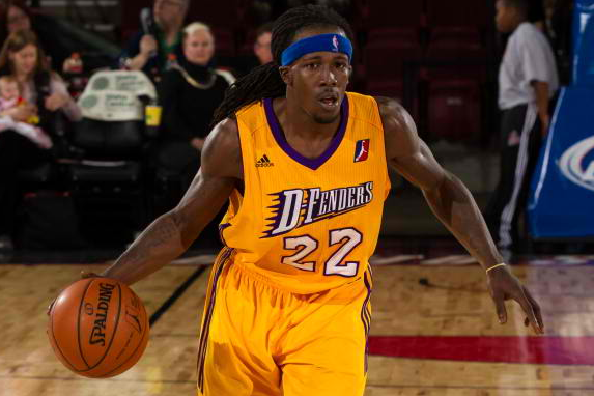 He also previously played for the Los Angeles D-Fenders and Rio Grande Valley Vipers. Fortson was named as part of the Futures All-Star roster for the 2013 NBA D-League All-Star Game on February 4, 2013.